This is a ghost doll I once made for a set I did about an ancient japanese ghost story where pregnant mothers who had passed away gave birth in their graves. 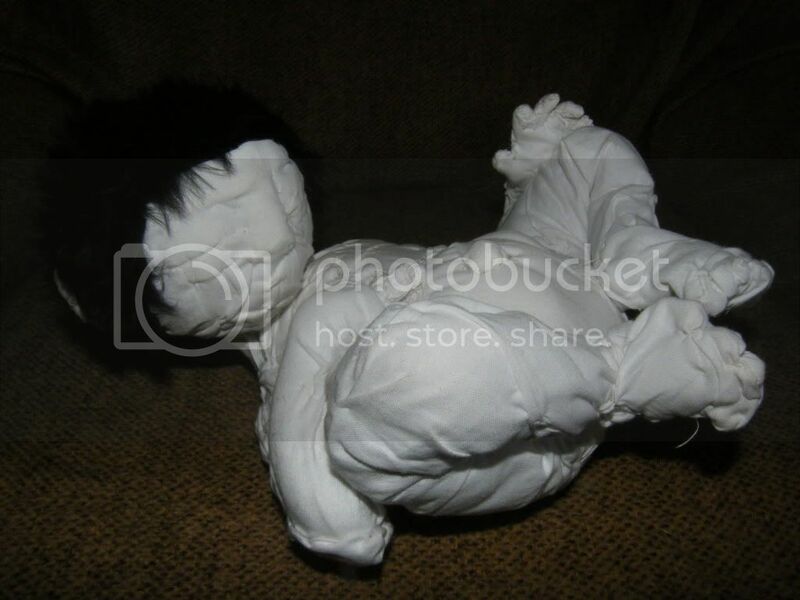 I only have the doll left and his charms and clothing, as the coffin and the mother got recycled. Interesting! 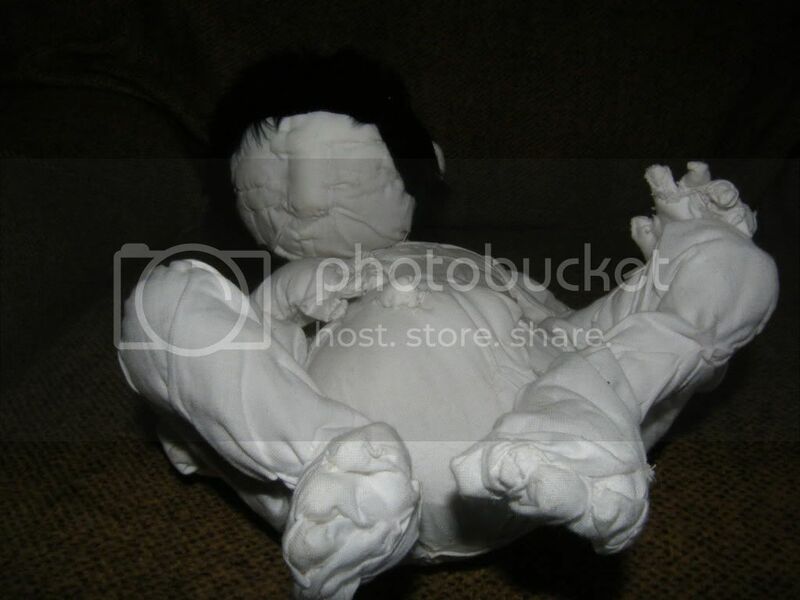 what is the doll made from cloth or paper mache? He is layers of cotton and toy stuffing. He took me a really long time to sew. the only other material I used was the fur for his hair. Very interesting....sounds like an interesting story as well. True. Can't wait to see more! Very cool! Have you ever put him under black light? I think that would look amazing.